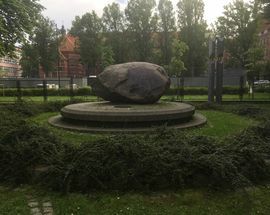 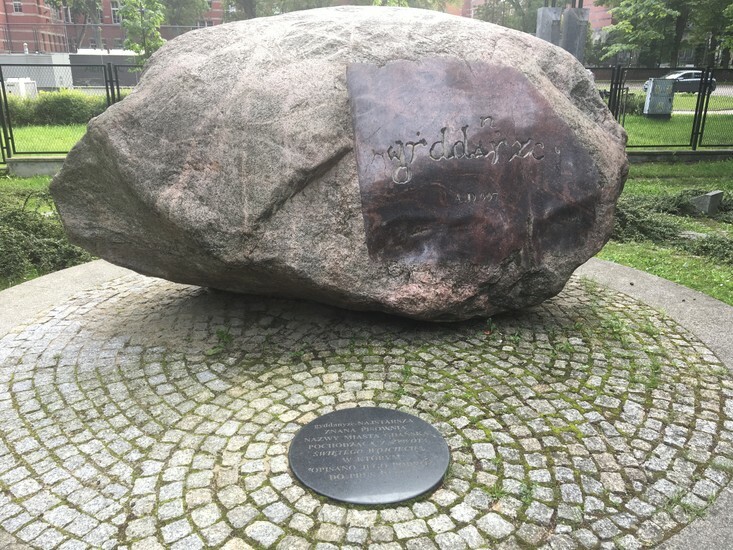 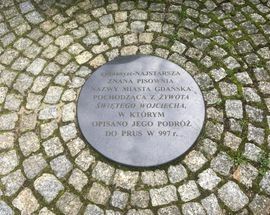 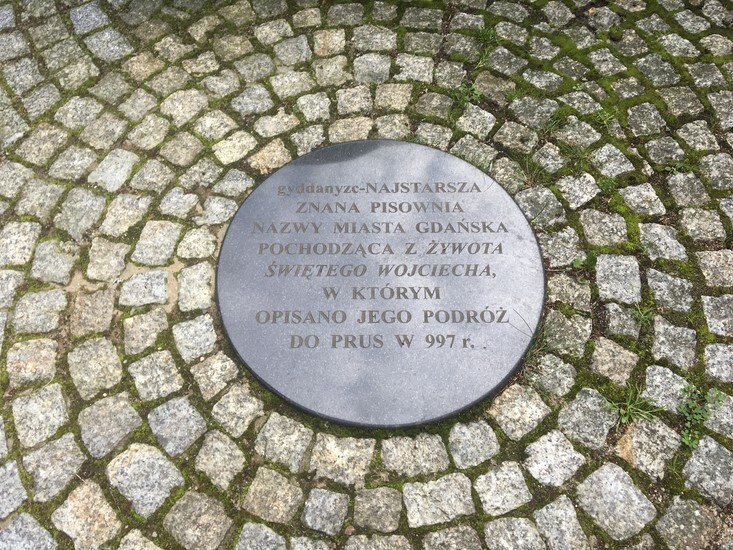 This large boulder set in the park close to the entrance of the impressive Gdansk Polytechnic building, pays tribute to the oldest known mention of the settlement that is now known as Gdansk. 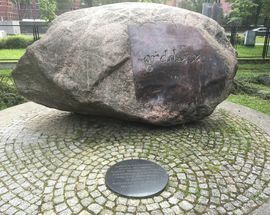 A Benedictine monk, Johannes Canaparius, is credited with the first reference to the city (urbs) gdydanzyc in his work of circa 1000 A.D. charting the life of St. Adalbert who he records as having visited the settlement in 997 as part of his mission to convert the local population to Christianity. 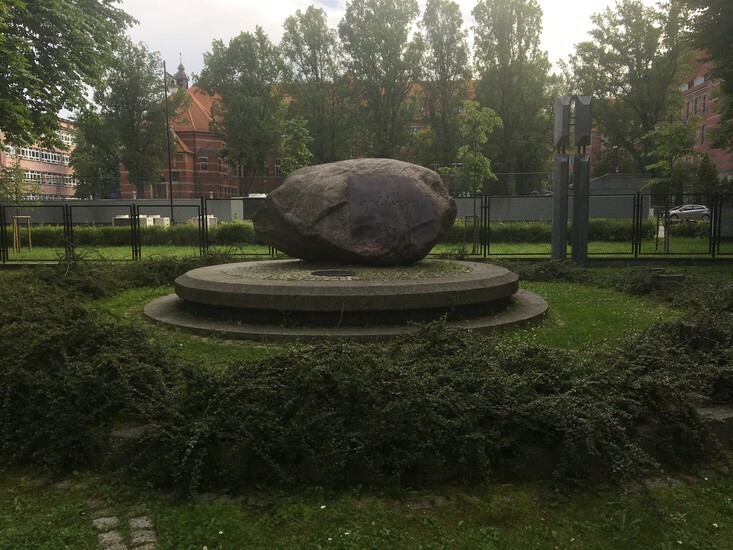 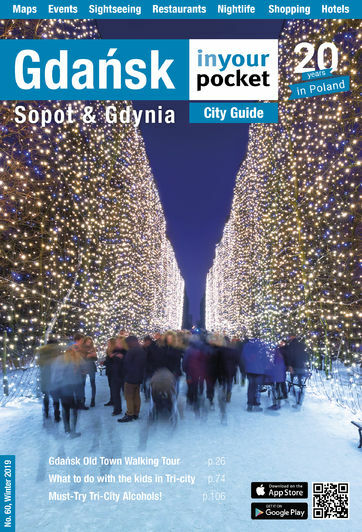 This visit is recognised as the official founding of what is today Gdansk and the city celebrated its Millennium in 1997.